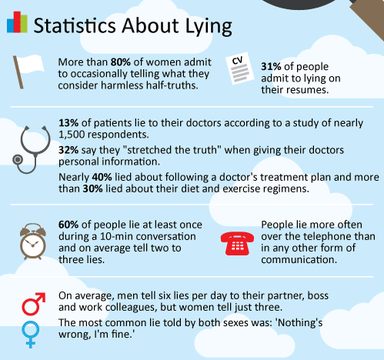 One of the things I am starting to check if the person who wants to work with me, closely, is in the habit of lying or not. So yesterday I told an applicant that she was a liar. Turns out she wasn't lying in that moment, yet she was a liar. She considered the incident an invalidation of anything and everything I do, and left. I am OK with that. It is still "cheaper" to have someone quit than have to do the uphill struggle to try to cause transformation to someone who is a liar. Even if the lies are not conscious. Mostly they aren't. 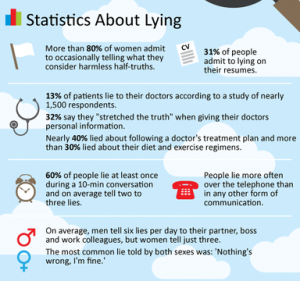 This video, I found this morning, looks at detecting lies... very interesting. You may first want to look at your own language... by the way. Ugh... right? Previous Previous post: Should you strive for leaving a legacy?